We had a friend’s four kids with us last weekend – ages 2, 5, 8 and 11 – from Friday afternoon to Sunday afternoon. Friday evening they were playing in the other room while we boiled up the spaghetti, cut up the fruit, laid out the table. Well, my wife was doing most of that, I was following her directions, and our 22-year-old son was looking at the paper. We found out the next day that it is too a real number. Our local university has an open house the third Saturday of every April, Picnic Day. It’s a big deal, with a parade and events and food and displays and horses and fun, fun stuff. So since last Saturday was Picnic Day, we took our houseguest kids to school. 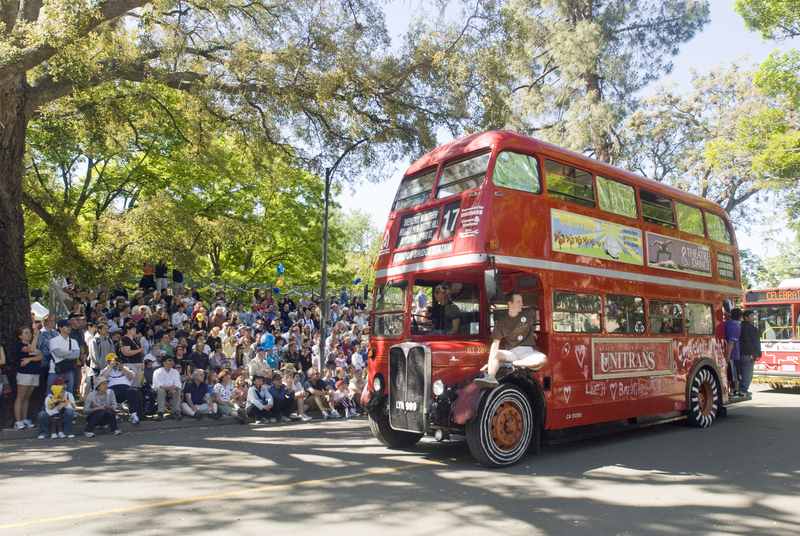 The university has its own bus system that runs all over town, and they had a special schedule on Picnic Day to bring people onto campus without requiring them to drive in and try to find a parking space among the thousands of people doing the same. We started the day by catching one of the big red buses and being driven into the heart of campus. I carried the youngest aboard the bus and heard her murmur, “I don’t like that.” The bus. She didn’t like the bus. But she allowed me to carry her along to a seat next to her brother and sisters; she soon caught their excitement, and by the time we arrived she liked it plenty. Once on campus, we found perfect spots at the start of the parade route. Bands and horses and floats and balloons passed along for the next 45 minutes, with many of the paraders endearing themselves to our young friends by handing out candy as they went by. One piece each, and save the rest for later. OK, two pieces, but no more. Three pieces, but really, that’s it. Hmm, perhaps it was four each. The parade mercifully ended without the need of a trip to the dentist. We next went to the catwalk, which isn’t really about cats walking. Instead, it’s a room full of cats that we walked by. These were rescue cats that the university’s vet school had been treating, and there were a number up for adoption. How we got out of there without a kitten under each arm is beyond me. Then there were the frisbee dog competitions, the cockroach races, and a trip out to the school’s equestrian center. Yes, this university has its own equestrian center. You get there by riding another bus out past the aging dairy barn and brand new football stadium. This one was a double-decker bus. Could we stay on the bottom level to ride out there? Not a chance. So up I went with the older three while my wife and son stayed below with the stroller and 2-year-old. 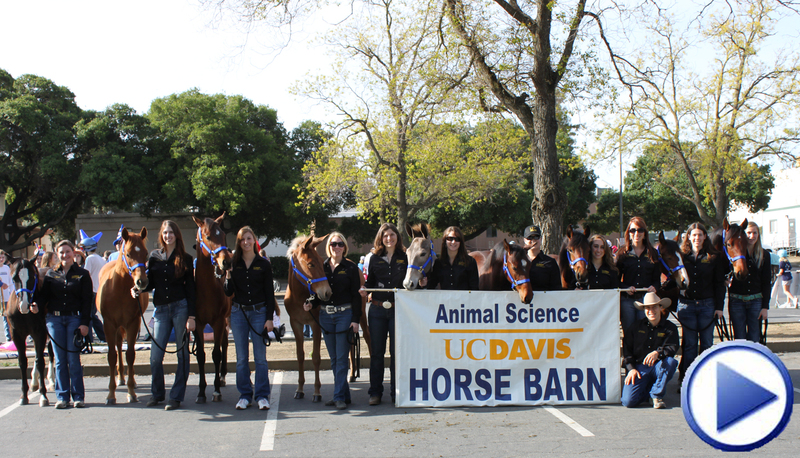 And after checking out the horses, we rode the upper deck back into the center of campus. Then we caught a bus home and this time my son had the 2-year-old in his arms, where she promptly fell asleep. How fun was that day? A million thousand billion kajillion fun. Wide, long, high and deep love. A love that surpasses knowledge. With all the fullness of God. Immeasurably more than our asking or imagination. Throughout all generations without end. I get the impression that this is more than a million thousand billion kajillion, immeasurably more. And that’s a real number too. 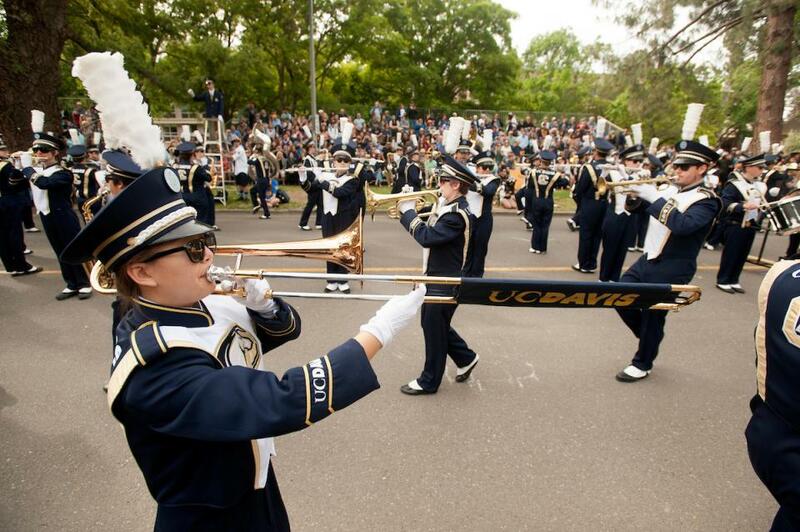 This entry was posted in Uncategorized and tagged children, love of God, Parades, Picnic Day, UC Davis. Bookmark the permalink.